Why Do You Need Ad-hoc Reporting Software? Where Is Ad-hoc Reporting Most Efficient? Ad-hoc reporting appears to be much talked about these days. In this article, we are going to define ad-hoc reporting in details including addressing its components, advantages, spheres of the use, etc. 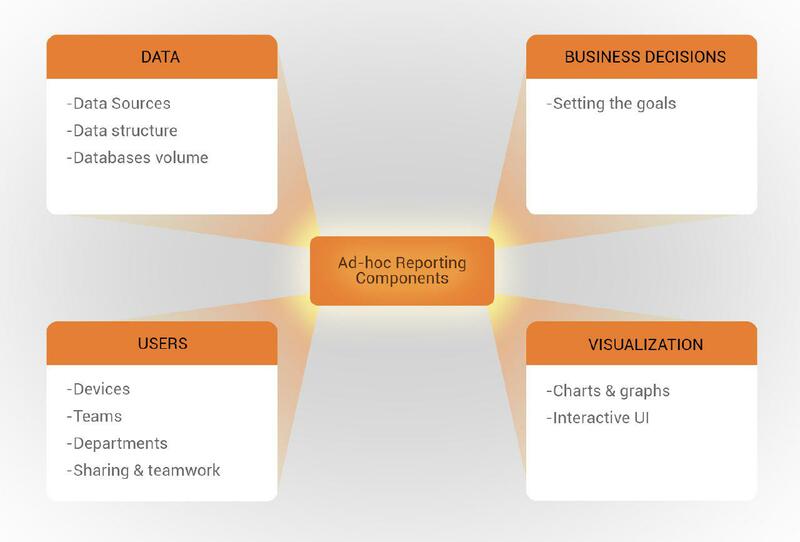 Ad-hoc reporting is a business intelligence model in which reports are generated by end-users in real time, rather than being pre-designed according to a template. In ad-hoc reporting, express reports are created by business intelligence users, not IT specialists. In comparison with regularly scheduled reports, ad-hoc reports ensure a response to a single specified question based on the database connected to the application. And for the reason that the business environment is in a state of permanent fluctuation, the questions in the market always change as well. That is why at every moment of the organization development ad-hoc data analysis can bring utmost value to the business. 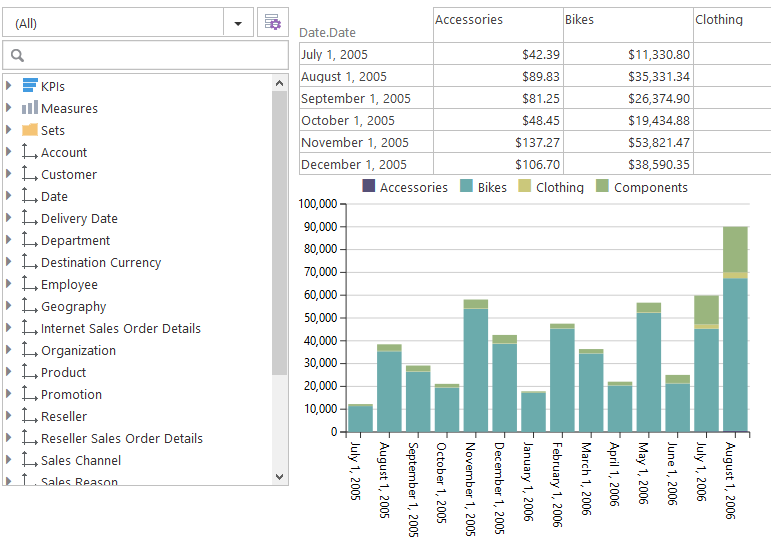 Even though sometimes generating ad-hoc reports may require skills in the SQL language, nowadays there are plenty solutions which are available for average business users as they operate with the help of dropdown and/or drag and drop controls (like Dynamic Pivot Table control in Ranet OLAP). The reports can be simple one-page tables or complex interactive multi-page crosstab reports. They can have sorting, filtering, and drill through options, as well as various ways to visualize data on charts, heat maps, etc. The main purpose of ad-hoc reporting is to give more power to end-users in retrieving and analyzing the business data they need and at the same time relieving the IT staff of the tasks related to creating various on-demand reports for different departments. Therefore, using ad-hoc data analysis tools is especially important in enterprises with many teams that need different types of reports. Even without knowing the specifics of your business, it is easy to say that you most certainly need a reporting tool to rapidly and efficiently solve arising business issues. In ever-changing environment markets, businesses, customers, and products constantly need to adapt to the new conditions. Ad-hoc reporting contributes to better understanding of an ongoing situation. There is no need to possess any special technical skills to manage ad-hoc reporting. No knowledge of coding or SQL is required to be able to exploit the tool: the main meaning of ad-hoc reports is that they are composed with ease. Ad-hoc reporting is popular with multiple business and areas due to several reasons. Starting businesses require high awareness of their performance. They should know how customers take them from their first steps to develop faster and with a bigger profit. Ad-hoc reporting present a perfect match to solve such issues. While handling data for clients it’s crucial to deliver best quality service and products. To track customers’ satisfaction it is a good decision to use ad-hoc reporting. In the ever-changing business environment, ad-hoc reporting offers a number of advantages that make it critical for the companies that want to stay afloat and keep improving to always cater to their customers’ needs. Flexibility. As ad-hoc data analysis provides options to define the structure of reports in real time, as opposed to being based on templates, it allows end-users to accommodate to new market conditions and client needs faster. Saving time and money. No special training or IT experience is required to work with ad-hoc reporting tools. End-users can start creating reports right away, which saves business owners a lot of resources. No technical skills required. Reports are generated by non-technical end-users on demand, which means less workload for IT staff. Data sharing and collaboration. Ad-hoc reporting offers wide options for collaboration among various teams within a company, which ensures that all employees are always on the same page. After you’ve determined your needs and demands you have to pay attention to and clarify the features you’re looking for in the final product for the ad-hoc data analysis and the report. There are multiple variants to choose from according to your personal style of business management. The data sources you exploit can significantly differ and may become even more inclusive in the future. 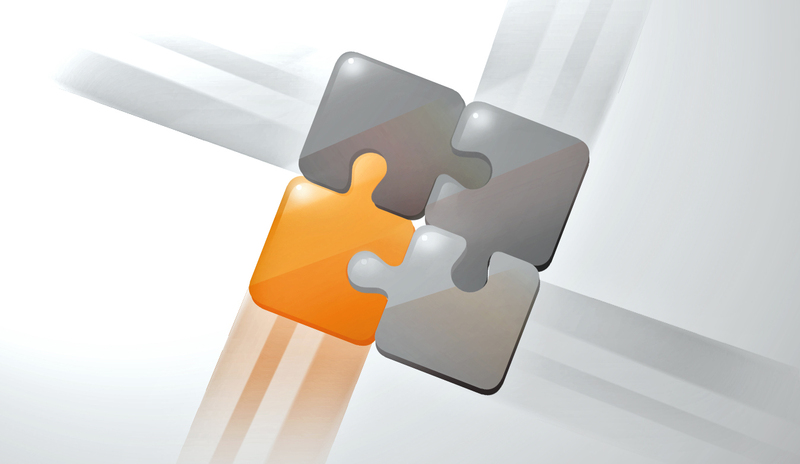 Thereby it is right to pick an ad-hoc reporting application supporting multiple data sources. While considering ad-hoc report generation sustainable for business problems solving you mustn’t neglect data structure which implies managing unstructured data likewise. Structuring all the organization’s data including corporate emails, text documents, pictures, videos, etc. will clearly affect your decision as it’s obvious that daily accumulated information can’t help but play the steering role in the business process. Such process as ETL in OLAP provides fast and safe data extraction, reliable transformation and rapid load for the later use. The database volume directly depends on the organization’s size: the larger organization is the larger datasets they possess. Hence the ad-hoc reporting application chosen has to deal with the data amount of the organization and adapt to its growth if needed. Before picking an ad-hoc reporting tool you should figure out what kind of data types you are going to utilize: Excel spreadsheets, external or internal databases, online data streams, unstructured data, etc. Preparing databases and datasets before deploying the reporting application is the first step on the way to the successful operation. In case the end-users are going to use several devices but not only a desktop version of the tool for the data analysis and reporting it has to be taken into account as the application you choose will differ in the usability depending on the needs. There are potential options how the ad-hoc reporting tool will be used in your organization: it can be exploited by multiple departments, by several teams or just by the executives to assess the work of the company. It’s helpful to know the potential distribution of the product in order to ascertain the workload in advance. The application has to be multifunctional and adapted by diverse users: according to the team exploiting the tool and the type of analysis required, it should meet the users’ needs and provide a unique report. A comprehensive holistic tool will endow engagement of the teams, well-coordinated work, and a better understanding of the processes. Reports are frequently to be shared among the colleagues thereby it’s convenient if the tool is readable and explicit for different teams. This will ensure successful collaboration and the operation high speed. 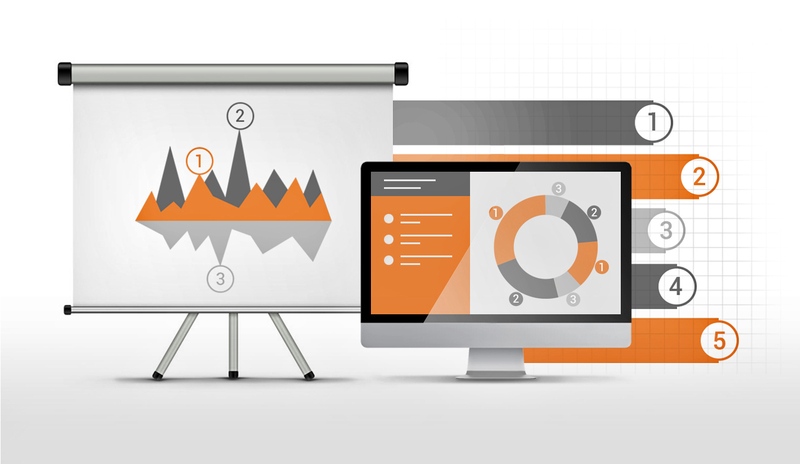 To choose a suitable ad-hoc reporting tool you have to set your business objectives first. Depending on the goals, it’s easier to find the best appropriate solution. 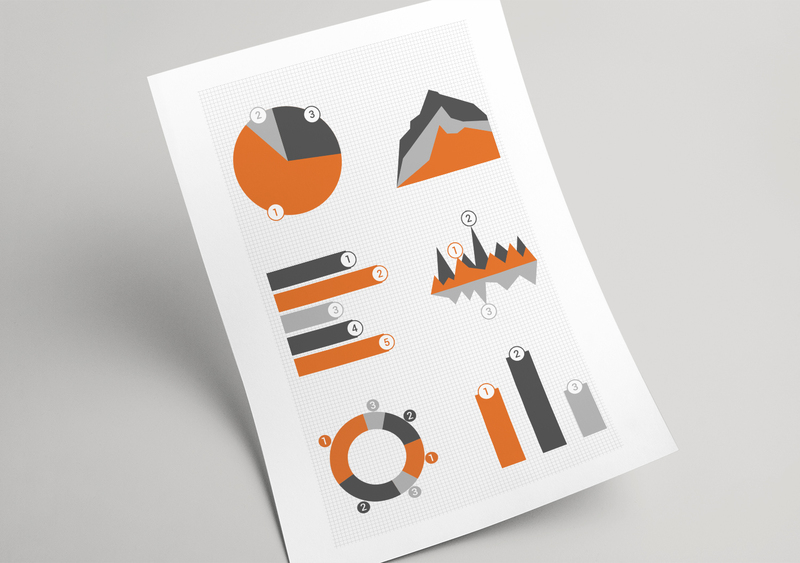 Ad-hoc reports are noted for ensuring handy visualization: graphs, pie charts, diagrams, heat maps, etc. Particularly if there’s a lot of information to be presented in the report the visualization form will be critically important. Commonly but not necessarily ad-hoc reports involve an opportunity to interact with the data displayed in it so that to enable the user to see the data from different angles, and change, and update the report for the in-depth and detailed analysis. Hence if you are looking to be able to perform the interaction include the functions of scroll, zoom, labels, etc. in the list of the features you are looking for in the final product. 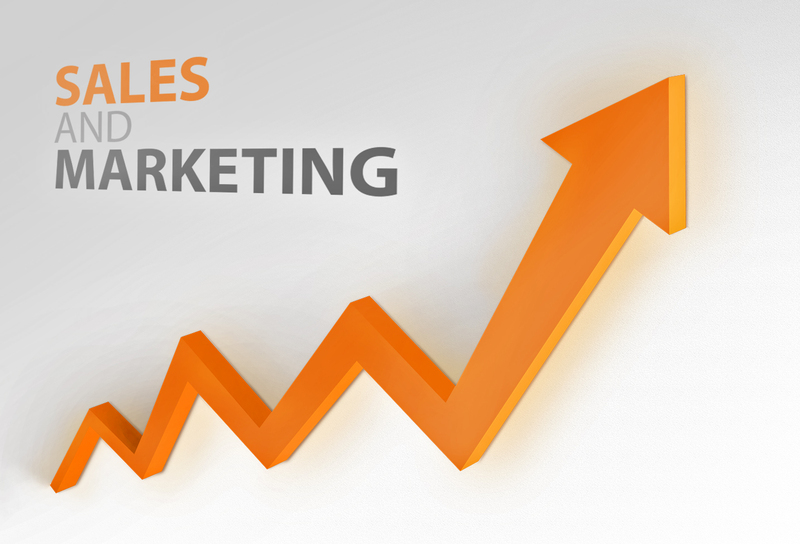 The sales team can use ad-hoc reporting to estimate the sales performance of the company, identify investment and sponsorship opportunities. Ad-hoc reporting under marketing will ensure the access to the knowledge about the demographic situation in the market and purchasing behavior depending on it. Ad-hoc reporting can display the customer satisfaction rate according to the specialist proving it. The executives may use ad-hoc reporting to obtain the information about the staff, their performance and the organization’s performance in general. Ad-hoc reporting gives users an opportunity to independently create holistic tailored reports in order to practice self-service analytics and business insights discovery. Ad-hoc reports are famous for their flexibility and a provided opportunity to communicate and collaborate on the same data. Ad-hoc reports can easily be exploited several times by multiple users, commented on, changed/edited, etc. Many OLAP tools are specifically designed to provide wide options for ad-hoc data analysis and reporting. Allowing creating interactive reports through simple drag-and-drop user interfaces, they empower end-users to ask their own business questions and analyze data without burdening the IT specialists. Ranet OLAP, being such a tool, provides its users with opportunities to create interactive OLAP reports on the fly, export and save them, share them with other users. To learn more about the advantages of using OLAP tools for your business read our business intelligence overview. Besides, you can try these opportunities right away using the OLAP online demo.